When connecting the proxy to your Active Directory, the proxy allow only users inside Microsoft domain scope. Workstations such as Linux, tablets or outside the domain is not able to connect to the proxy correctly. The NTLM proxy is a service designed to tranform a basc Authentication to an NTLM authentication. In this case a Linux Workstation is able to login with an Active Directory account in order to pass trough the proxy if it use the NTLM Proxy. On Your proxy section, Choose “Active Directory” link. 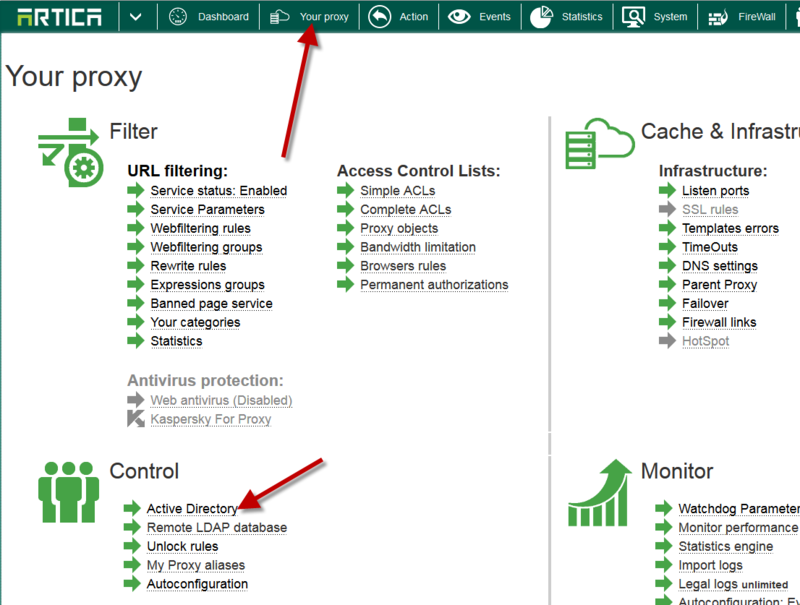 Turn to green the Activate NTLM Proxy Service feature. ← How to upgrade to a beta version ?